So what's a buzz piece? Pretty simple really. It's an information piece of some kind. A lead magnet. Usually a free special report about what you do. Or what you sell. It is commonly between 5 - 25 pages long and downloadable as a PDF form. And it creates “a buzz” about your business. Some people even refer to it as a bait piece. But whatever you decide to offer as a free download, it can attract all the leads you can handle if done right. That’s what buzz pieces do. They attract people. And a good one will jump-start your online marketing plans. The time you take … and investment you make … in coming up with the right one will prove to be one of the most important business-building tools you add to your online marketing efforts. Especially when combined with a super-powered email autoresponder series. Should You Offer A Newsletter Or A Buzz Piece? Why not both? 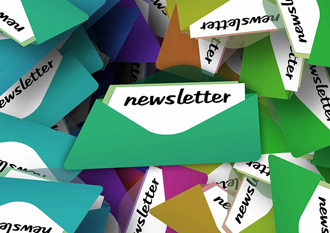 If you really want to offer your prospective customers a newsletter, go ahead. In fact, they can subscribe to it when they download your buzz piece. If you look at any successful online business, the odds are that they have a newsletter. They may not call it that. But that’s what it is. Now think about it. Sure that pop-up … or floating invitation … may offer an invitation to sign up for a newsletter. But put yourself in your customer’s shoes. What Are You More Likely To Sign Up For? A free newsletter that you don’t want cluttering up your inbox or a free report giving you information that can really help you in your life? Or in your business? Information that maybe you haven’t seen before. What's The Most Important Thing To Get Right? The topic. If your target market has no interest in the subject, forget it. Or if your free offering has little relation to the product or service you offer, it won’t do a thing for you. It must be related to what you do! And your prospects … your prospective customers … must have a keen interest in the information you’re offering. It represents your company. Showcasing what you do and how well you do it. And it could become your number one sales lead producer. But not on its own. How come you haven’t heard more about buzz pieces? And why will the right one explode your prospect list … and ultimately … your sales? Most businesses today understand the value of adding good content to their web presence. But what happens after that? What happens to all of your traffic if you can’t even get someone to read your offer? The success of any sales process is ultimately determined by the trust the potential customer places in the business or person doing the selling. And a well-conceived offer of free information … followed up by a professionally-written email autoresponder series … does an amazing job of developing trust between you and your customers. It does an equally superb job of developing an ongoing relationship with them. Can You Write Your Own? Sure you can probably create your own. But it will take some work. And it will take some time and writing ability. You may have someone in-house that can write one. But most companies don’t have pro writers on staff. Fortunately, for you … and your company … many copywriters have spent years developing these skills so you don’t have to. 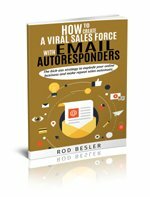 After Your Website And Sales Letter, A Buzz Piece Combined With A Dynamite Email Autoresponder Series Is The Best Investment You Can Make In Your Business! Why? Because it gets prospective customers to give you their name and email. It builds your customer list. And then you can deliver them your autoresponder series which gets the click back to your sales message. It’s a serious three-pronged strategy that will supercharge every aspect of your online marketing efforts. But I can handle only a limited number of clients at any time. And ... by the way ... I can also write your Buzz Piece and your sales letter as well. I've been trained by the best copywriters in the business. Send me an e-mail now at rodbesler@comcast.net to find out whether I can help you move your business to the next level.